Ryan joined Plymouth Argyle as a schoolboy, and progressed through the clubs Centre ofExcellence, before signing a professional contract. He made his debut for Plymouth in March 2010 at the age of 17, but failed to make the first team squad the following season. 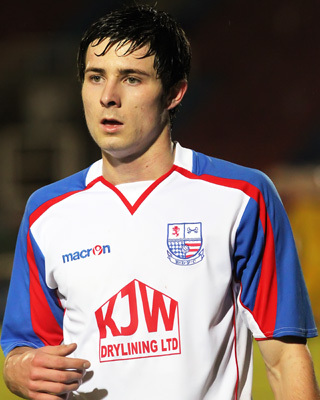 He went out on loan to Conference South side Weston-super-Mare in December 2010, before coming to Nene Park for a trial. He made his single appearance for Diamonds in the Hillier Senior Cup game against Brackley Town on 12 January 2011, but returned to Home Park after the game. He was released in the summer, and went for a trial at League Two side Southend United before signing a one year deal with the Shrimpers on 27 July 2011. He had a very successful time at Southend, right through to the start of 2018, when he signed for Sheffield United. He signed a loan deal with Millwall which is due to become permanent at the start of 2019. His Wikipedia entry is here.